This five-day hike tackles the central section of the magical Cotswold Way National Trail, starting in the historic wool town of Painswick and crossing the Cotswolds escarpment and endless miles of rolling countryside before finishing 61km/38 miles later in the beautiful village of Tormarton. 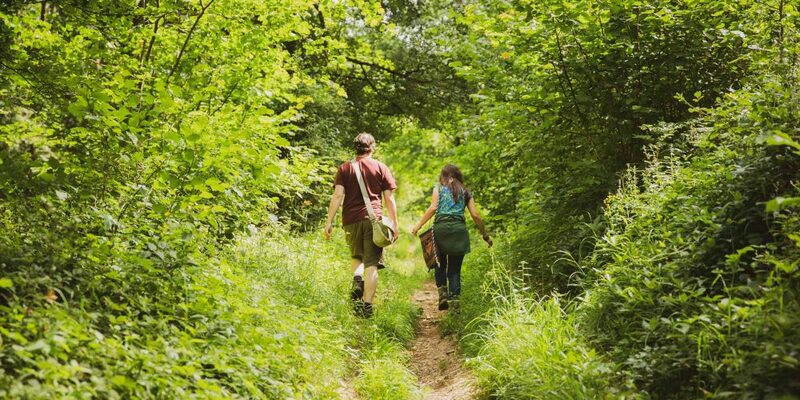 The Cotswold Way offers over 100 miles of magical walking, with long-distance views and journeys through picturesque villages and past ancient sites. The full National Trail runs from Chipping Campden to Bath and can take up to 10 days to walk. So we’ve put together a shortened five-day itinerary covering 61km/38 miles, missing out the start and finish and instead focusing on the glorious central stages of the Cotswold Way. 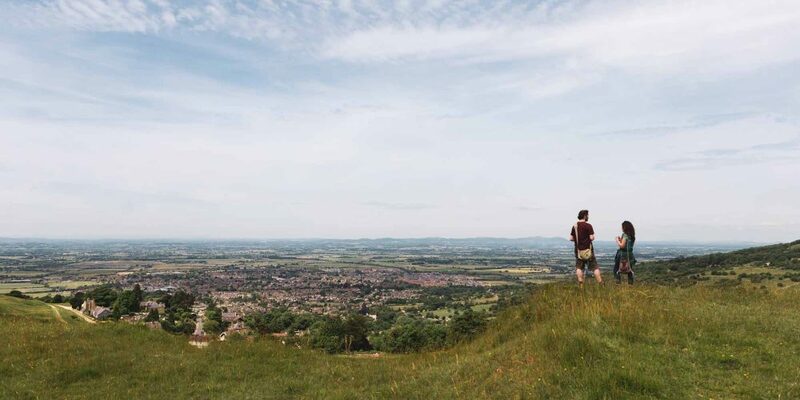 You’ll begin in beautiful Painswick before following the steep western edge of the Cotswold Escarpment, part of the limestone belt that stretches from England’s south coast to the North Sea. 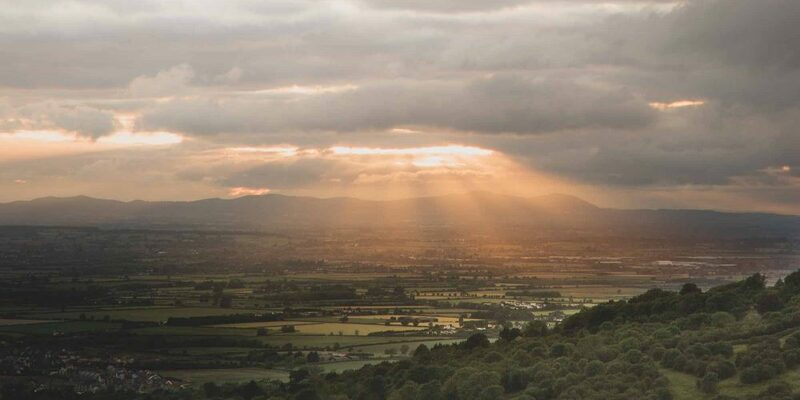 You’ll enjoy stunning views high above the Severn Valley with Wales beyond, before dropping down into ancient villages and market towns. To the east the land falls away towards the tranquil meanders of the River Thames, helping frame the Cotswolds as England’s largest Area of Outstanding Natural Beauty. This is a landscape of rural charm, fascinating history and mellow tranquillity. Anyone with a good level of fitness can walk this shortened 61km/38 mile section of the Cotswold Way, but visitors are often surprised by the steepness of some climbs. This day-by-day guide breaks down what to expect on each day, and picks out the unique highlights of each section of the route. Follow Bath Lane south towards Horton before reaching the National Trust property of Horton Court, which is one of England’s oldest vicarages. The first Iron Age hill fort of the day soon follows, then the hamlets of Horton and Little Sodbury, before the Cotswold Way climbs up to Sodbury Hill Fort with extensive views across the Severn Dale. From here finish your walk through farmland, the village of Old Sodbury and the wonderful parkland of Dodington Park, ending in the village of Tormarton. 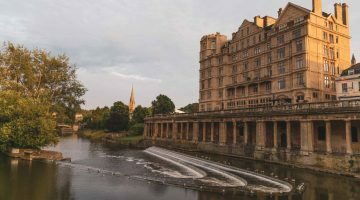 The Cotswolds is incredibly popular with tourists from all over the world, so while there are many options for accommodation, they tend to book up quickly along the Cotswold Way. 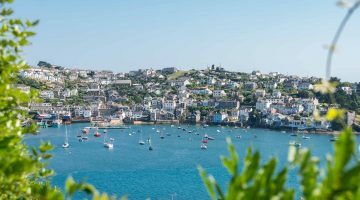 You’ll find pubs, hotels, B&Bs, cottages, campsites and hostels along the trail catering for all tastes and budgets, so plan carefully and try to book somewhere as close to the start and finish of each day as possible. 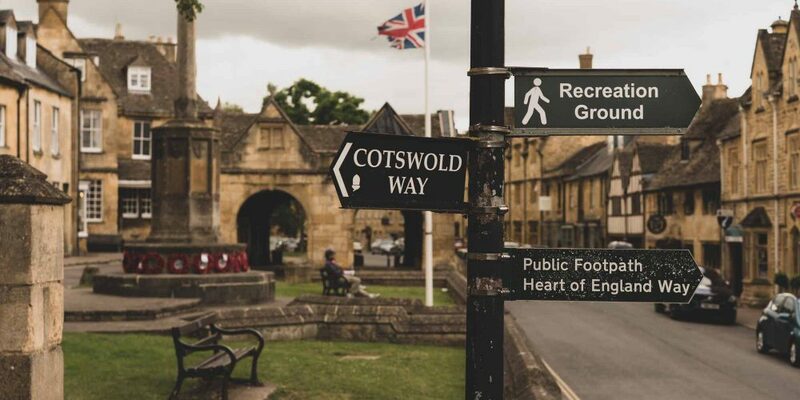 The Cotswold Way is at the heart of the British Rail network, with mainline trains to the region from London, the Midlands and the North and the South West of England. From the mainline station at Stroud, you can catch a bus to Painswick. The Cotswolds is served by a comprehensive network of road and rail links, making it easy to reach from London, the Midlands and the South West. If you plan to drive, the start point in Painswick isn’t far from the M5 motorway. The Cotswold Way is a walking paradise, with picture-perfect stone villages, rolling hills, country pubs, green fields, lazy rivers and beautiful woodland to explore every step of the way. 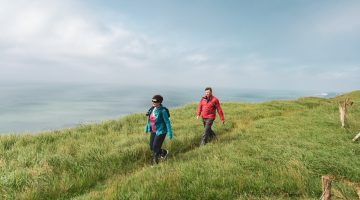 Each stage of this itinerary is designed to be walked at a leisurely pace and the trail is simple to follow, so it’s an ideal route for anyone with good levels of fitness. 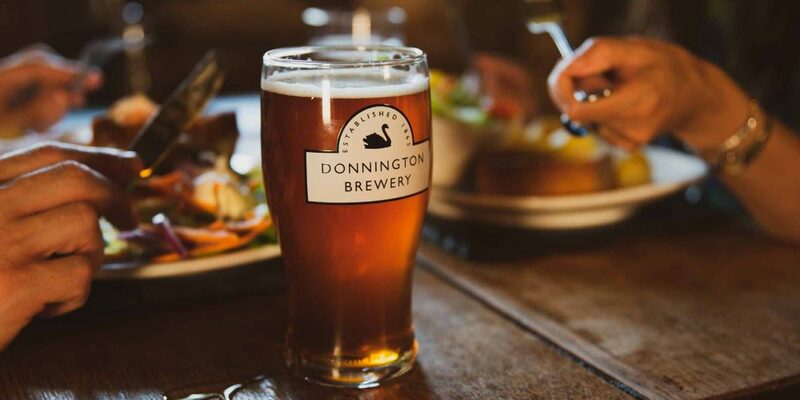 Visit in spring for carpets of bluebells, summer for long days of glorious sunshine, autumn for spectacular colour explosions in the trees, and winter for frosty sunrises and roaring fires in the pubs. Don’t underestimate the steep climbs though, with some days totalling more than 300 metres / 1,000 feet of ascent and descent. The Cotswolds is a classic English ‘foodie’ destination, with fantastic cafes, gastro pubs, traditional country inns, bakeries, farm shops, farmers’ markets and the occasional Michelin-starred restaurant cropping up in most towns and villages. Local culinary favourites include Single Gloucester Cheese, Gloucester Old Spot Pork, Tewkesbury mustard, Bibury trout, Stinking Bishop cheese, Hobbs House bread, Cotswolds dry gin and Cotswolds single malt whiskey.